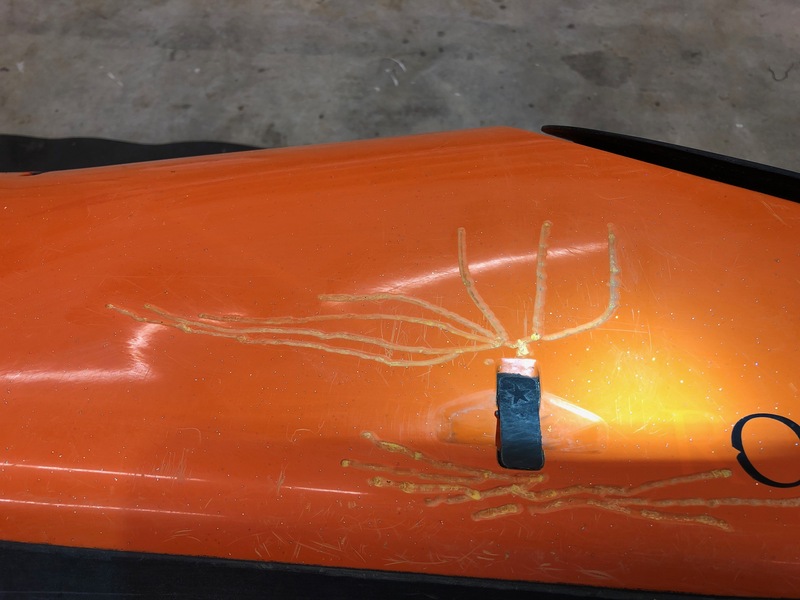 Steve has just carried out a plastic weld repair to my kayak. Steve put aside as long as I needed to try out as many boats as I thought I might like. As it turned out, this was over three hours! 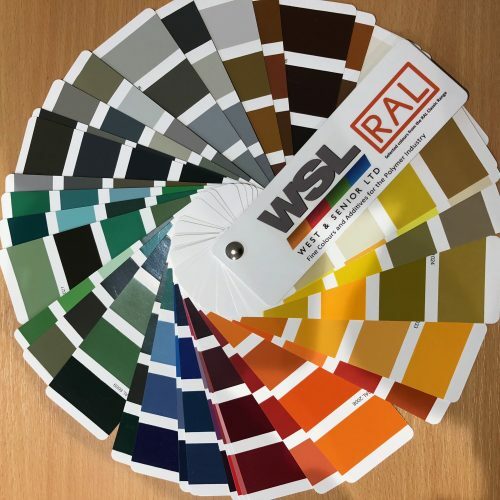 We went through the pros and cons of everything, including materials, all the customising options, colours, the lot. It’s good old fashioned customer service and you get the impression he really wouldn’t mind if you didn’t order anything. I did though. A 50/50 layup Latitude. I cannot wait to go back for the next bit of customer service which will include outfitting. I’ll be coupling that with a couple of days coaching from Steve too. Tip top. 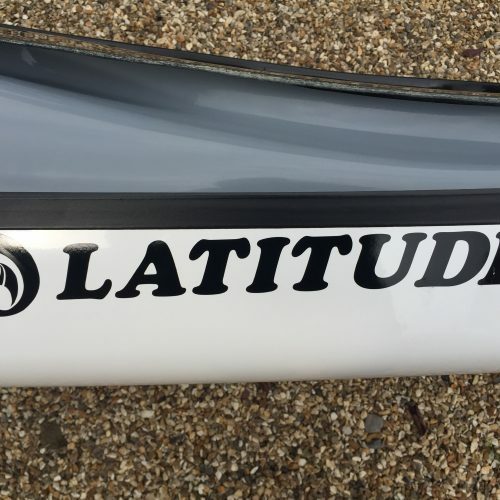 I took out my new Latitude for it’s first paddle Today. It moved through the water like a dream. I was really pleased how manoeuvrable it is and how easy it is to turn. The hatch covers are so easy to fasten. 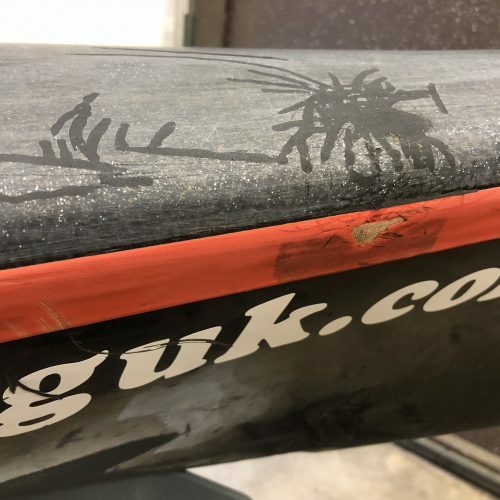 It may seem a small point but I hadn’t realised how rubbish the ones I have on my old kayak were. 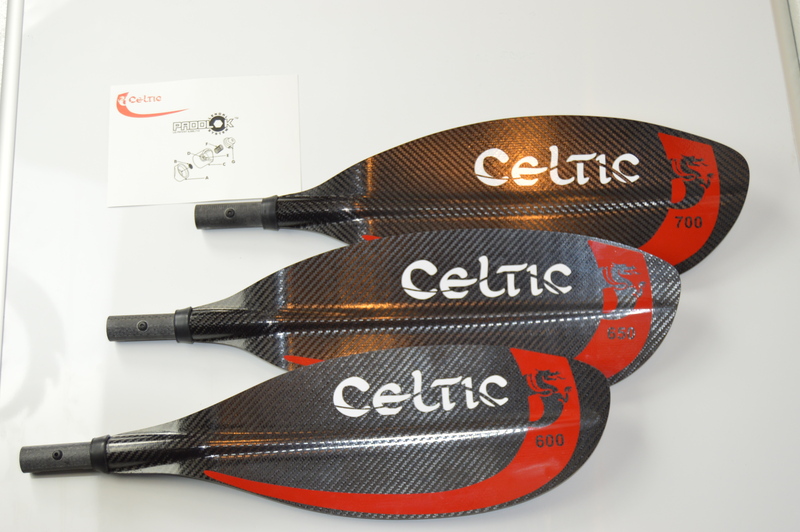 The Celtic paddles were also as good as you suggested they would be. Thank you for your excellent advice and service, I am so glad I found you, your advice has proven to be excellent. 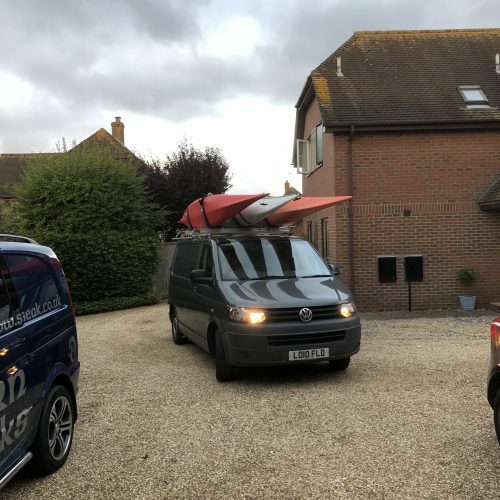 Brilliant, unbiased advice from Steve who made time to answer all of my questions, lent me a kayak to try on trust with no obligation to buy, spent time making sure the boat was suitable for me and provided a damn good cuppa. 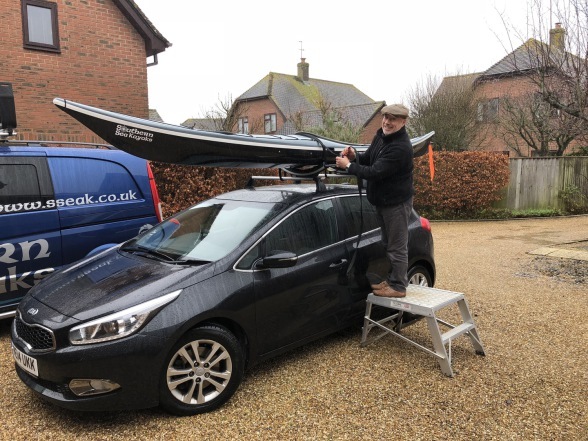 Steve’s knowledge, passion and advice were the reason I bought my NDK Romany Sportive from him; a brilliant kayak that is responsive, agile and gives the paddler confidence to test their limit, knowing the boat is up to the job. 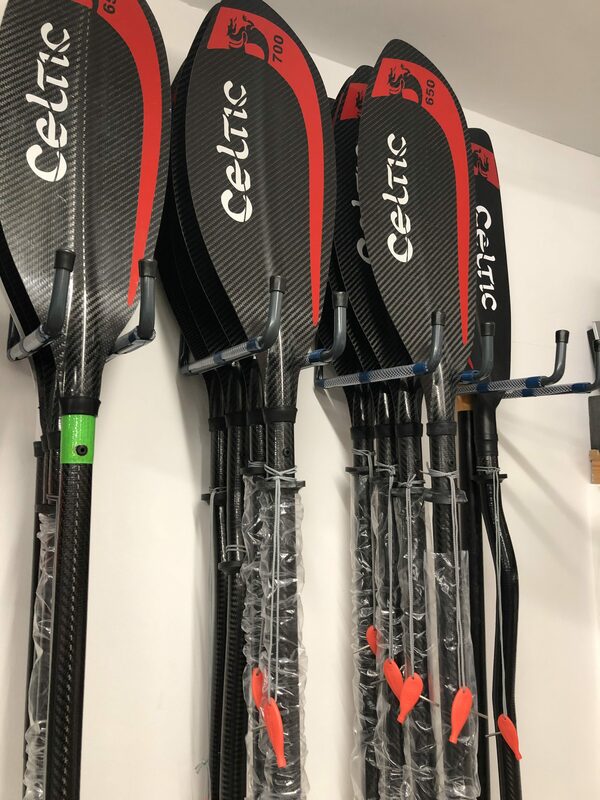 Our new Celtic paddles have arrived! Thank you very much for such a prompt service, and your help on getting us the best value option. 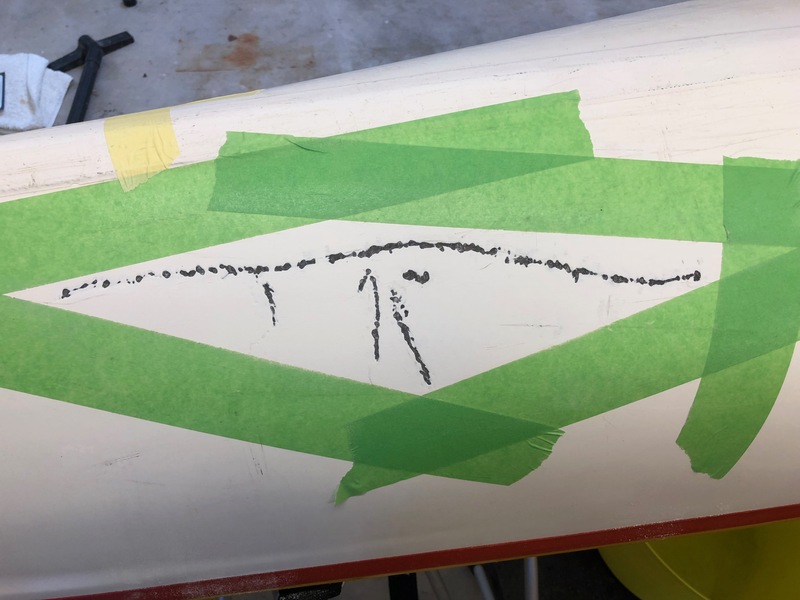 Steve carried out an excellent repair to my composite Valley kayak. He was fastidious in ensuring that exactly the right colour gel was available for the repair, once obtained he was quick and efficient. His work gets my vote! 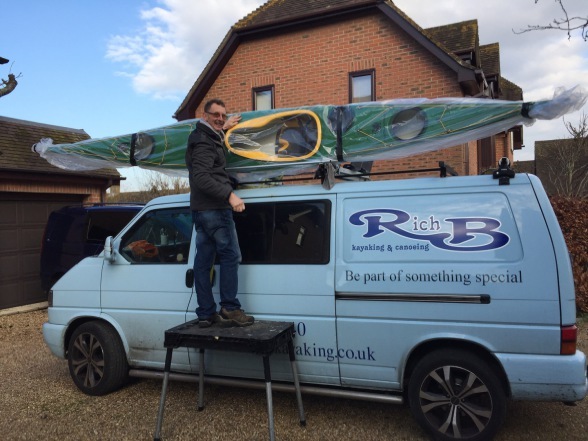 Steve is an experienced paddler so he can really help when trying to decide what kayak suits you best. Great and friendly service and good quality products. Just wanted to let you know how pleased/amazed I am that you had me rolling in roughly 15 minutes! I know some were a little ragged, and I have a way to go to have a reliable roll. But I now have a solid base and understanding, to work on. Your explanation and tips were clear and really made the difference, and your method of breaking it down really worked for me. Looking forward to our next session. Dedicated to service it said and dedicated to service he was. 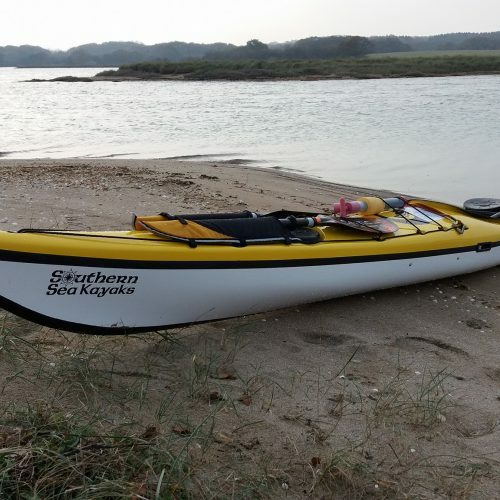 I had heard SSK and Steve Jones be mentioned a few times in the past and following a lively Sea Kayak Leader training course recently found that I had a need for his services. 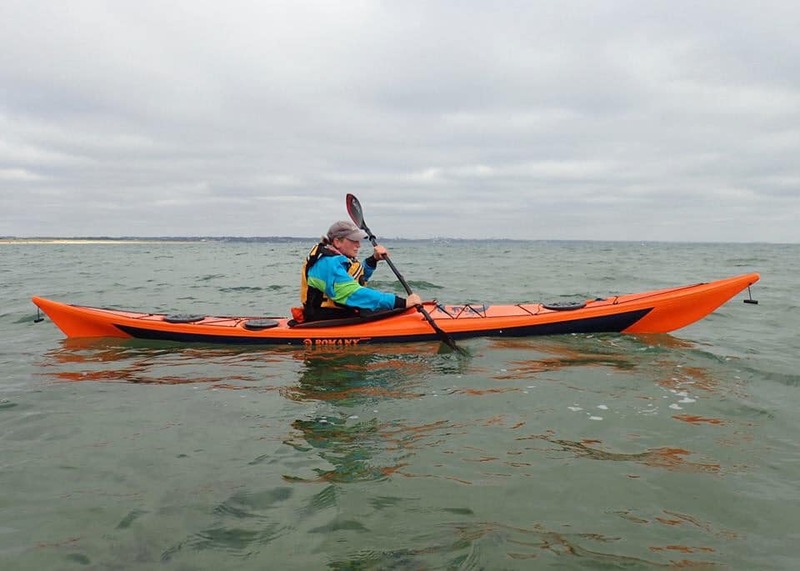 On meeting him and chatting it was immediately clear that he was a knowledgable and experienced sea kayaker who loved what he does. 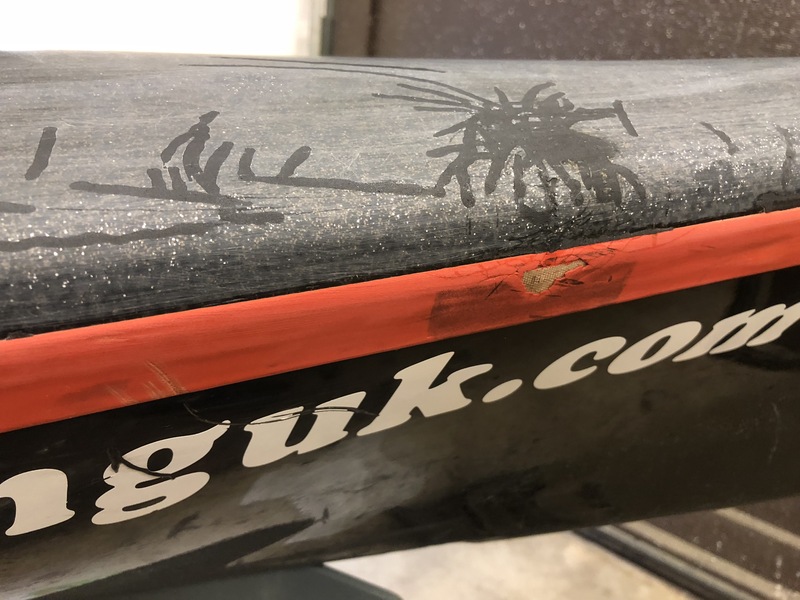 Before I had even showed him the damage to my boat, which was the reason I was there, he had the seat out of my boat and fixed the biggest frustration of this years paddling. 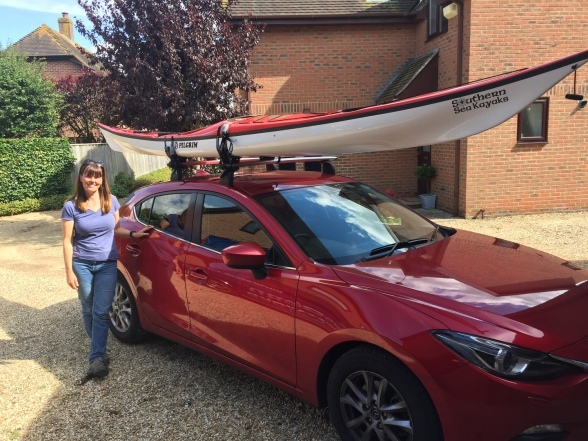 Practical, lateral thinking and with a great knowledge of kayaks and how they are built I thought. 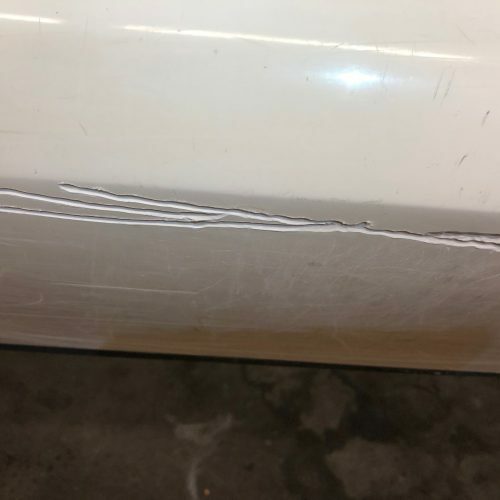 I showed Steve the damage to the bottom which was white, conveniently, and then to some cracks on the top which is orange with glitter rather inconveniently. He set my expectation in terms of price and turn around and we shook hands and I left my boat with him. Fast forward a few days, and some messages where he kept me abreast of developments, he told me that the work was completed. 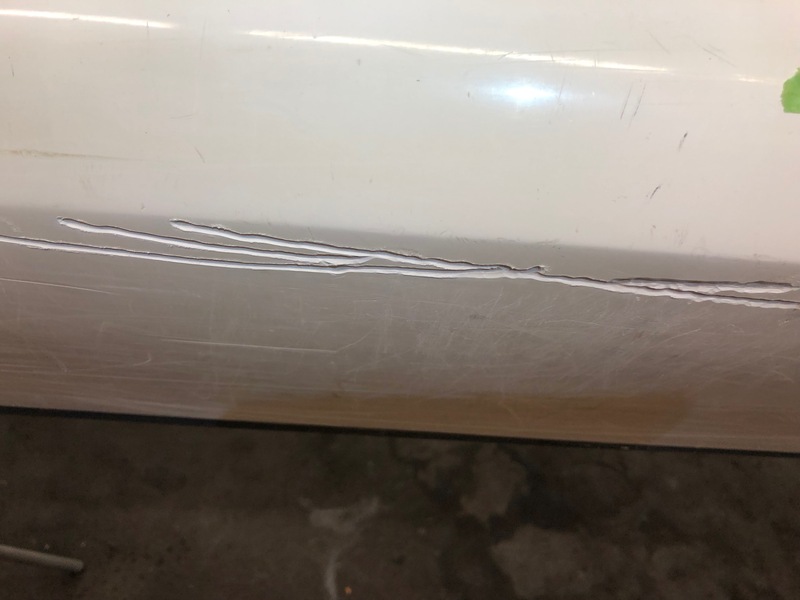 I arrived to collect my boat and was curious to see how the repairs would look. Delighted is all I can say. 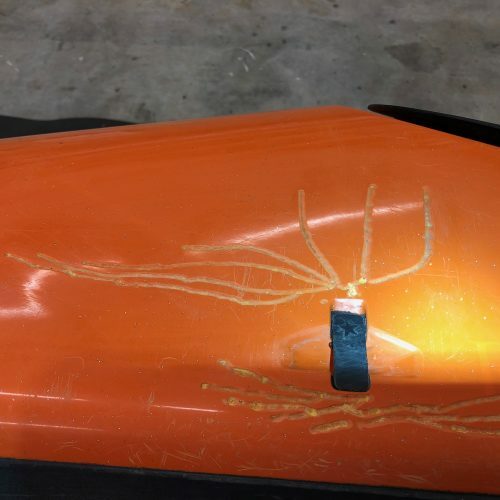 He managed to match the colour on the orange deck and do the repairs so that you would only see them if you really looked. He also glassed on the inside to strengthen the repair rather that it be just cosmetic. The white underside was repaired superbly, there were a few chunks of gel coat missing and left on rocks near lulworth so he had his work cut out. I was extremely pleased with his work. What do I owe you I asked him, the response was more than reasonable and I paid with a smile and a grateful heart. To get to the point, I would recommend Steve to everyone and point out that he is a thoroughly nice, knowledgable, conscientious and cheery gentleman to deal with. Just speaking with him brightened up my day, I kid you not. 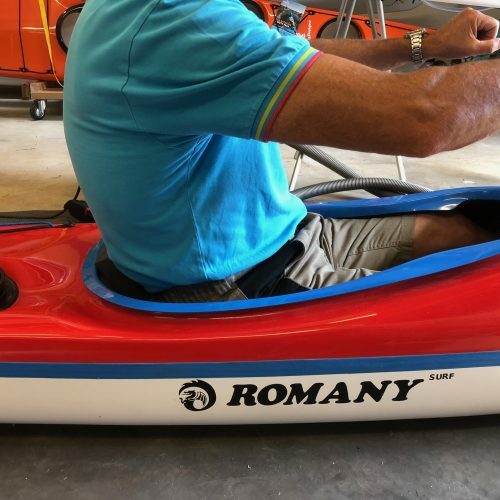 I had an image of my dream kayak in my mind and Steve helped me turn it into a reality. And it was ever so easy and quick! He drew it out, helped me pick the exact colours I was looking for by using his RAL cards. He gave me some great suggestions on what else would be possible (I had some flares put on the front and back) and he put the order through on the same day. 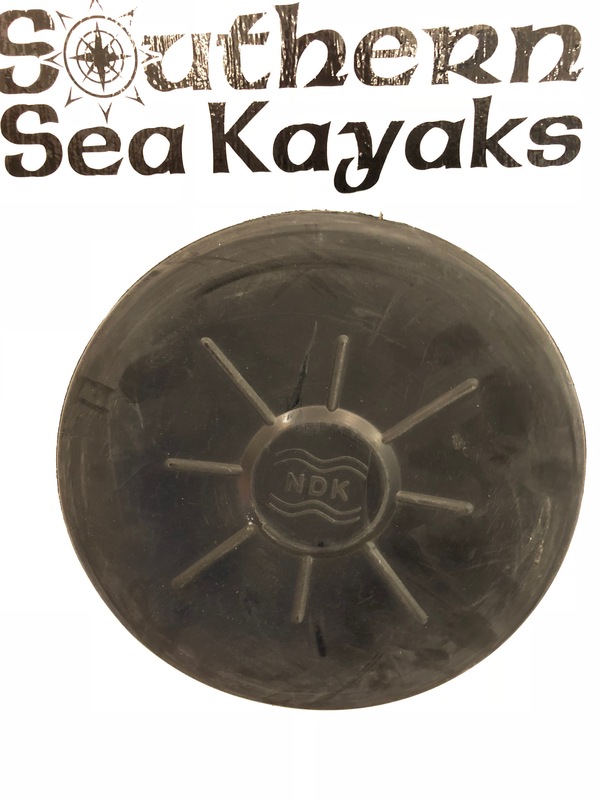 The sky is the limit with an NDK kayak, there are endless possibilities for you to put your personal touch on your kayak. Different colour seat/ decklines/ stickers/ hull/ deck/ trim and so forth. Whatever you desire, Steve can turn it into a reality! 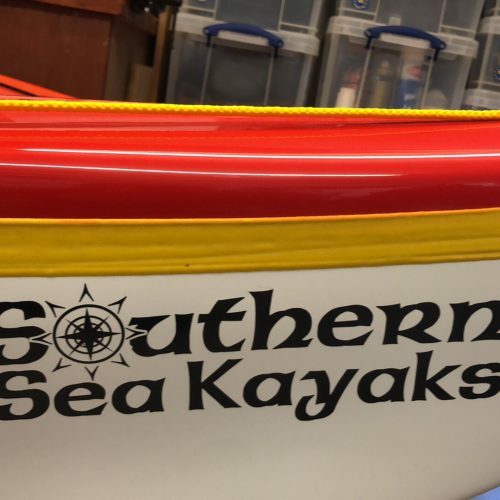 I would recommend Southern sea kayaks to everyone. 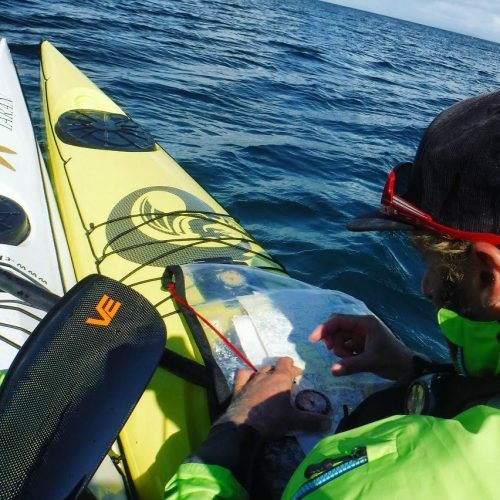 Steve is extremely knowledgable about everything kayak. He will go out of his way to ensure his customers happiness and really takes his time for you. You’re not just a number with Steve. 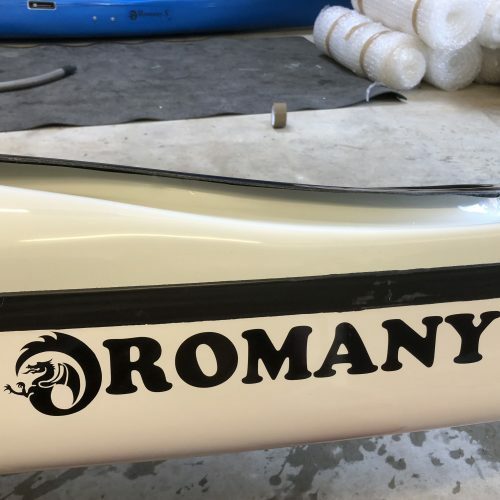 Steve thank you so much for helping me turn my dream kayak into a reality. 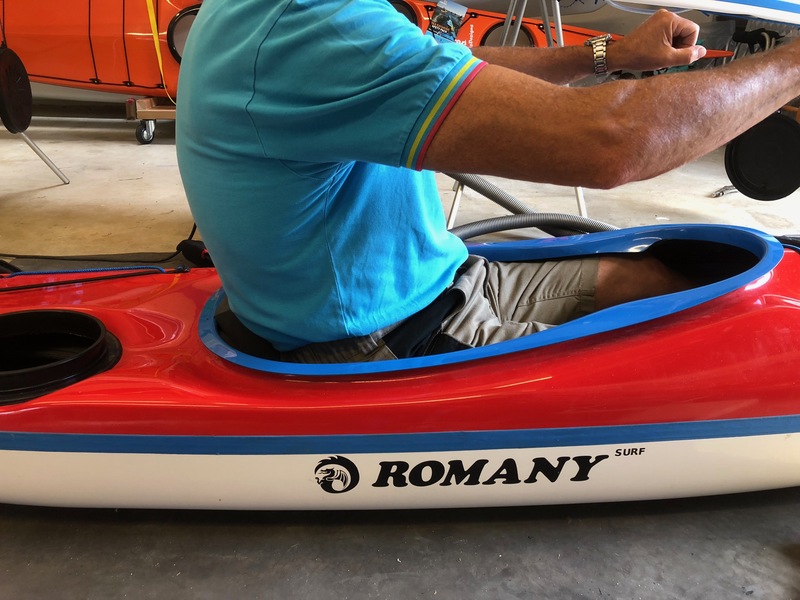 I brought a 3 piece Romany from Steve which he had been using as a demo boat. 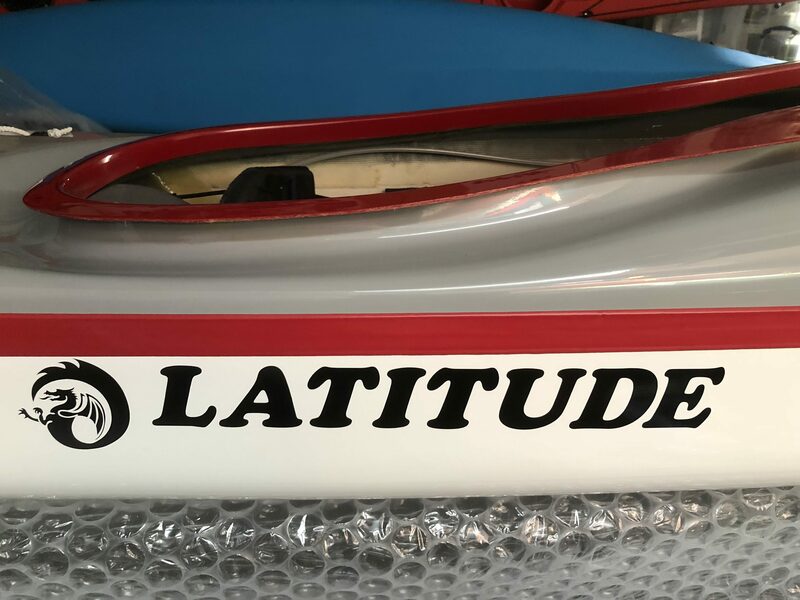 I had seen it on Ebay by chance, then went to his website which featured the boat. 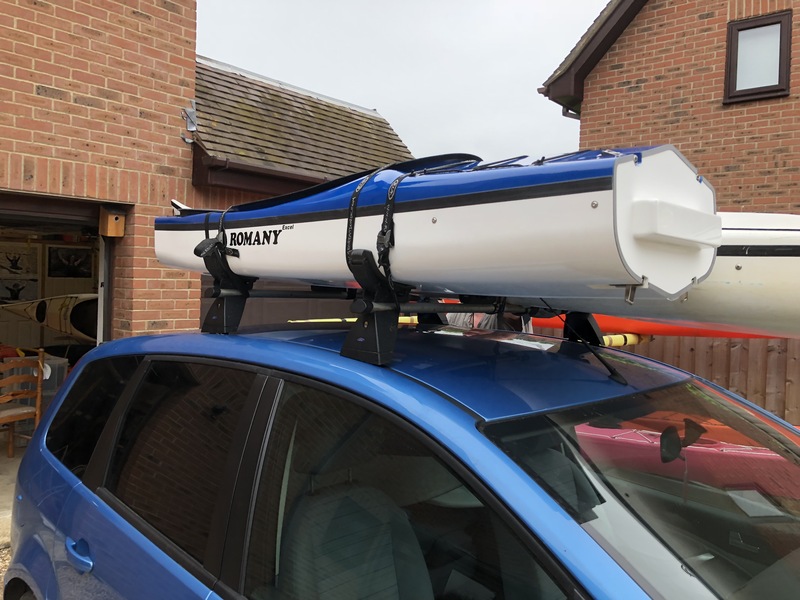 I had seen Romany kayaks so I was aware of the quality of these boats.I was getting concerned when loading my plastic valley on the roof in a crowded car park when alone of it slipping off and landing on someones new motor. Being 70 next year Feb I thought I would treat myself to an early present. I have found the boat performs no different from a solid construction. The benefits are it fits in the back of my car, No stress driving at speed or in traffic and loads easily. Secondly it stores neatly in my garage. The boat has a few extras a compass. up graded seat also Steve had it fitted to fit him, fortunately I am a similar build, it me fits well. Steve is a great guy to deal with, the transaction was straight forward. 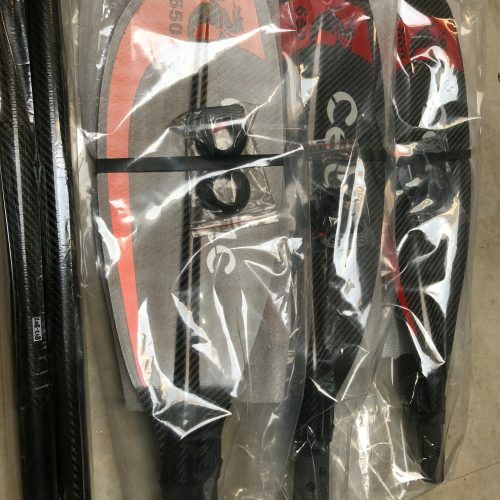 looking to future paddles. 裸, nice chap and fantastic Service. Just returned from a couple of amazing days under the tuition of Steve Jones. 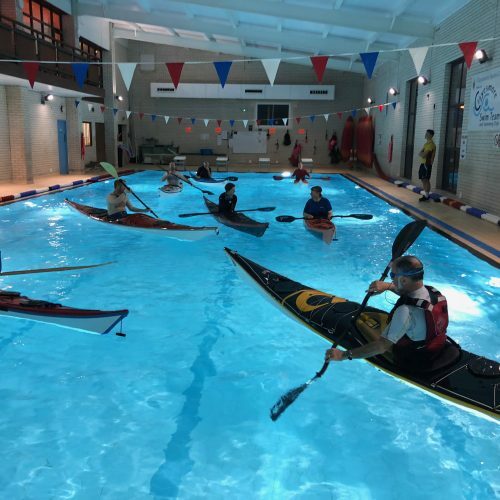 Excellent coaching, and a great two days on the water. Many thanks Steve. I’ll be back down soon. You could not meet a sea kayaker with more knowledge & experience. He knows as much about the boats he sells as the manufacturers, possibly more! Definitely no hard sell, lots of friendly help & patience to find the best boat for you and to help you fit it out for comfort & performance. 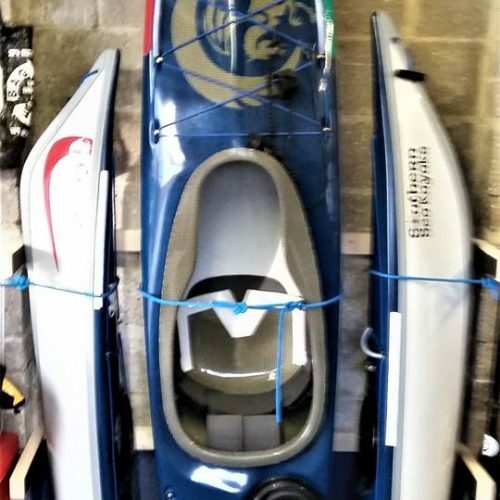 I’ve always had difficulty with size 11 feet in the lovely NDK sea kayaks, wasting money and time in the past by buying several wrong model boats. I quickly fully trusted Steve. We took the foot rests out, I sat in a few models on that basis and I had a very helpful demo. 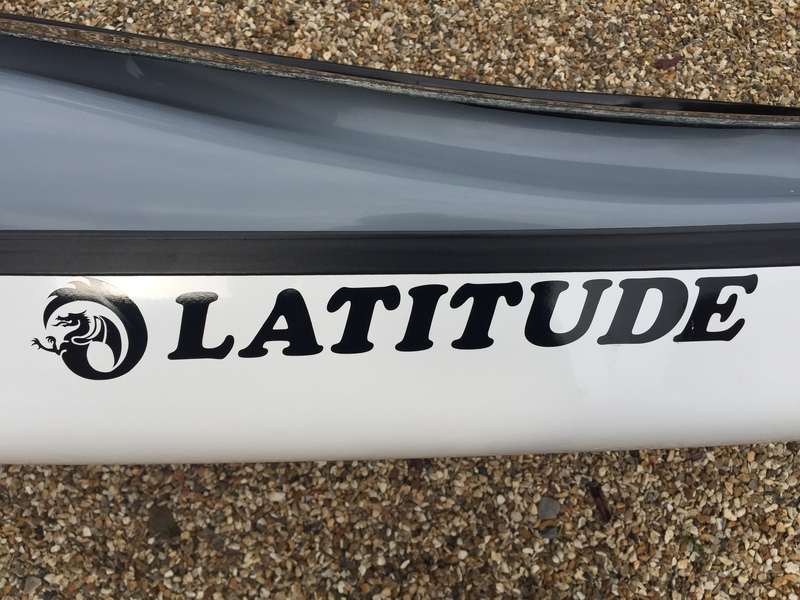 I now own a new Latitude composite boat and a plastic Sportive model, both bought from Steve. I fit well in both with personal adaptions he suggested and I love them. 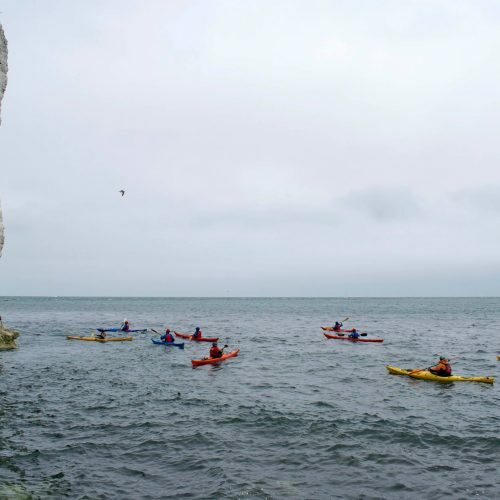 I have no doubt that my sea kayaking will now develop as a result and with less discomfort on longer trips. Thanks only to Steve the best NDK dealer you will find. 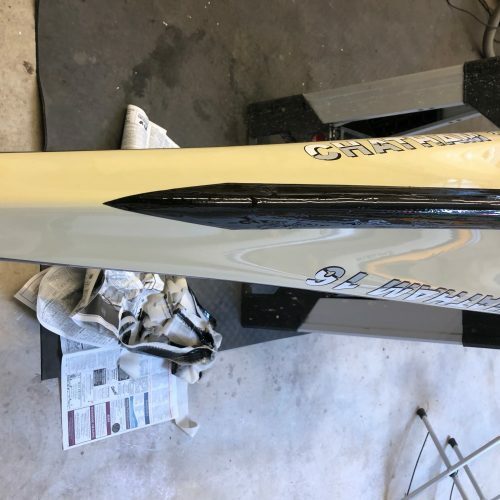 Highly recommended for anyone interested in buying a NDK boat. very helpful and great customer service! 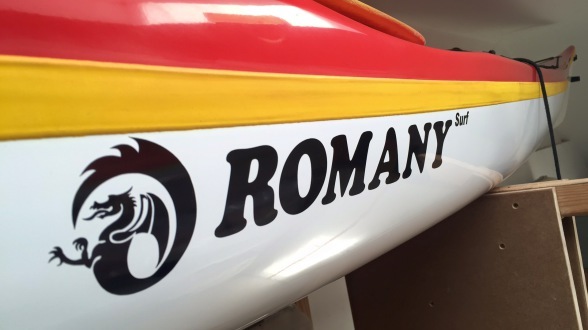 I chose to buy my Romany Surf from Steve and I am very pleased with it. 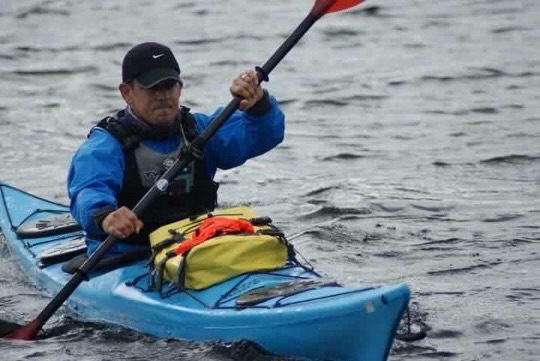 Steve is tremendously knowledgeable about kayaks in general and NDK kayaks in particular. He was able to advise me very expertly on the pros and cons. I needed to adjust the seat a bit after my first couple of paddles and Steve offered to do this for me! That’s service! I settled for a bit of advice over the phone and he sent over the necessary parts (for which he did not charge anything). 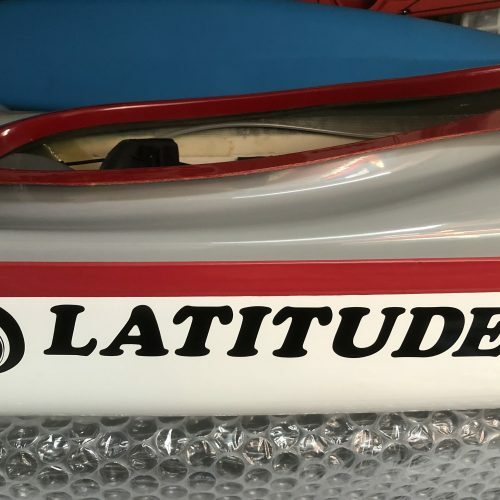 I think it’s important when you’re buying a kayak to have confidence that you’re getting the right one for you. That’s why I went to Steve! Originally I went to Steve with a view to possibly purchasing a sportive. 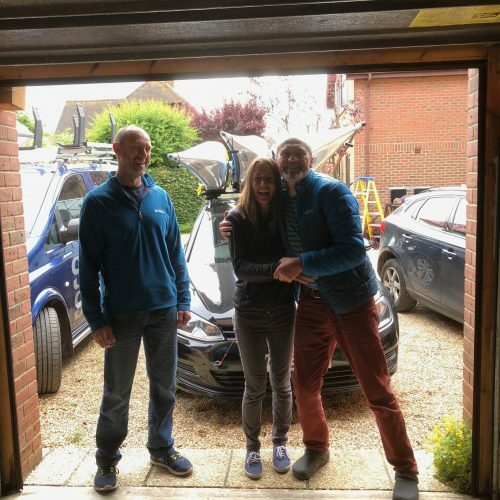 I was very hesitant about it and whilst Steve highlighted the pro’s & con’s of the sportive he was in no way pushy – he would happily have seen me leave having not made a sale. 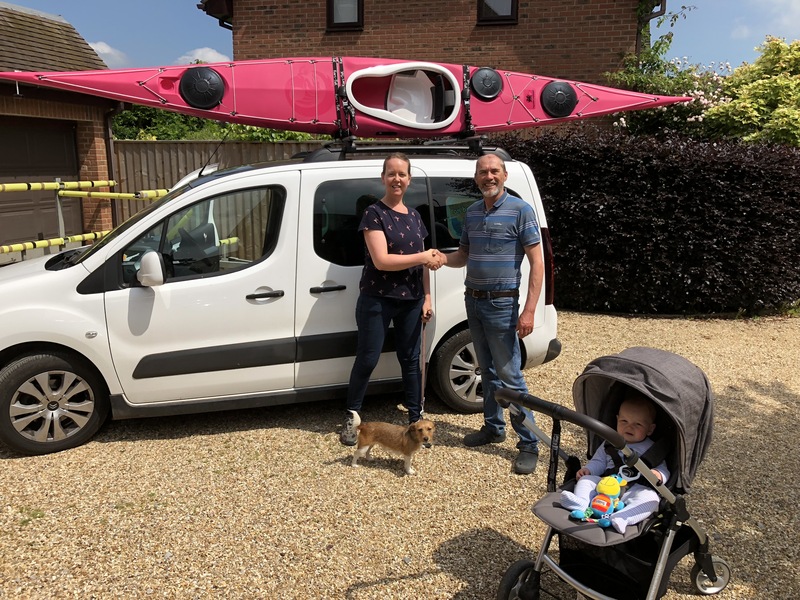 After deciding the Romany Classic was the kayak for me Steve collected my preferred colour, even travelling at ‘out of office’ hours to collect it. Then when I went to pick it up spent time outfitting it to me. Thank you Steve. 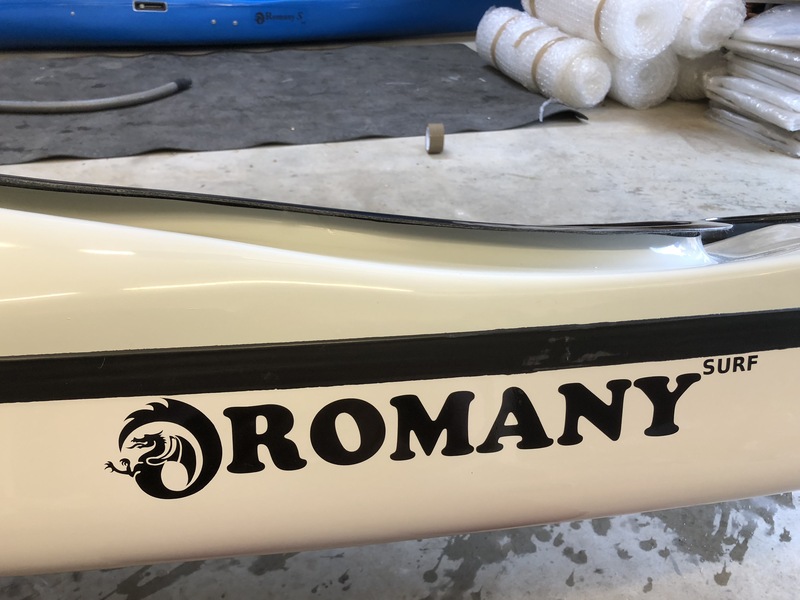 I ordered a composite Romany Surf in Sept 2016 through Southern Sea Kayaks, great service, great boat, a pleasure to deal with. 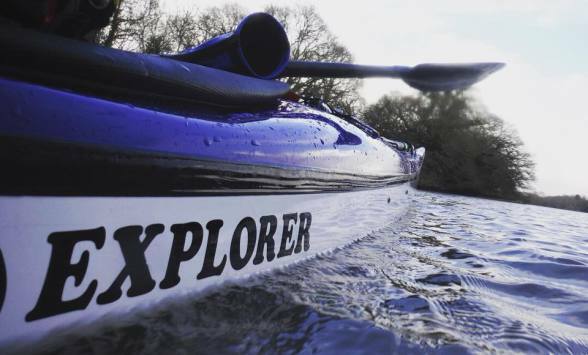 Couldn’t recommend the dealer, the brand or the boats anymore highly. Demo some, place an order, and you could find your happy place too! 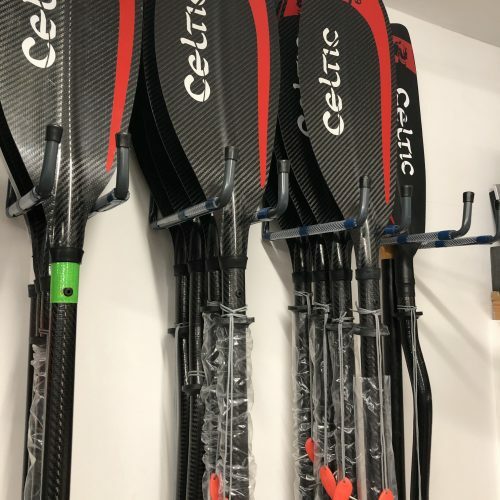 Steve provided excellent advice and service when I was choosing and purchasing a new Celtic pro paddle; nothing was too much trouble & and it’s great having someone with that friendly expertise ‘on the doorstep’. 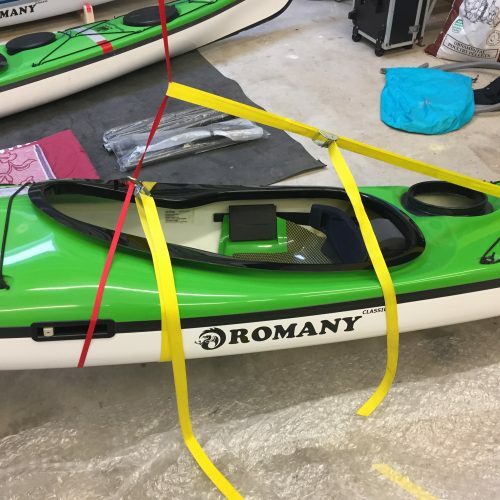 Now looking forward to trying and hopefully buying the new Romany LV Sport ! 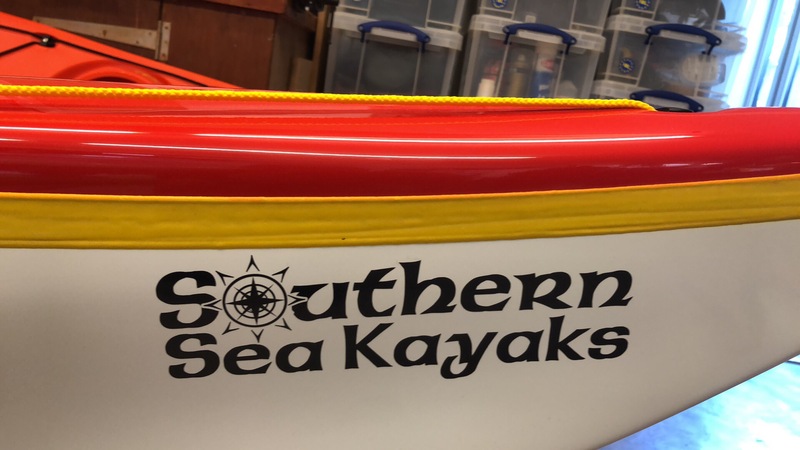 Southern Sea Kayaks is small outlet for obtaining a great sea kayak and paddles etc to take your skills that little bit further and your journey in life that extra mile. Steve Jones is very helpful and is more than happy to share his wealth of knowledge and experience to point his customers in the right direction. I personally found Steve very helpful and nothing is too much trouble to keep me afloat. 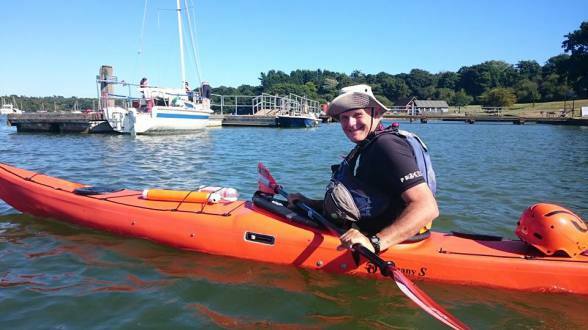 Steve has a somewhat un-rivalled passion for sea kayaking (could say obsession really!) I have purchased THREE boats through Steve and he has always been professional, courteous and helpful. 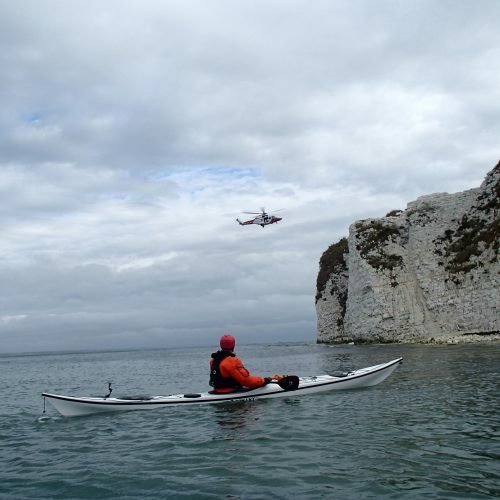 He has a wealth of knowledge in and around the Jurassic coastline should you wish to be guided by SSK, Always a pleasure to meet up and paddle with Steve and you will certainly be coming away with more than just new skills, maybe a new NDK boat!! Steve is very knowledgeable and nothing is too much trouble. It took me a while to decide as I was torn between the Romany classic and surf. 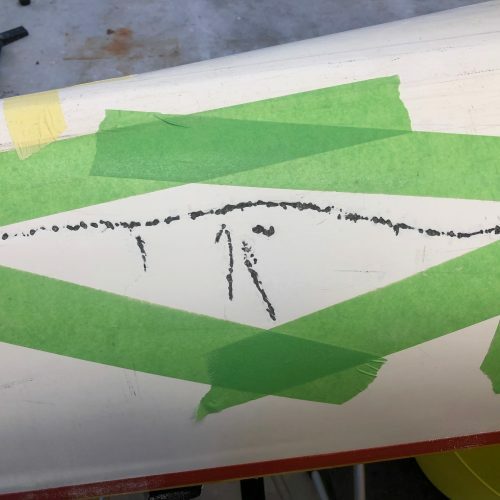 Several visits, numerous emails and messages, testing fit, demo and final fitting of my new surf, throughout Steve’s service was exceptional. Thanks for your help and patience. 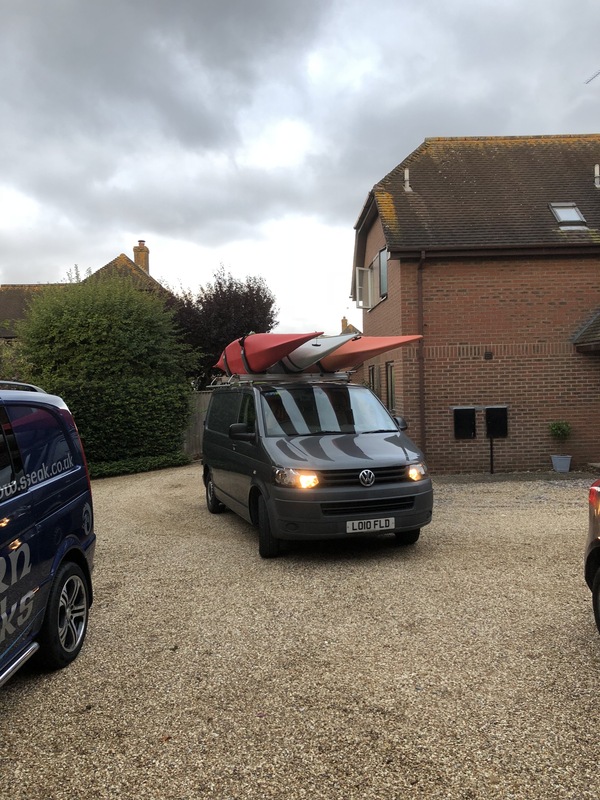 I bought my Romany Surf from Steve after he recommended it to me when I visited his place near Blandford. 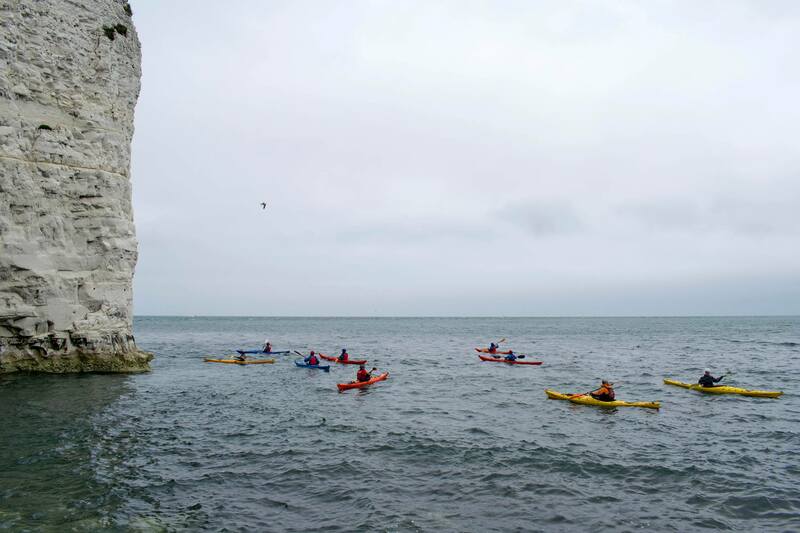 We went out for a paddle so that I could get the feel of it. Steve’s knowledge and experience is second to none. He was extremely helpful and gave me the confidence to know that I was buying what was best for me. Having just spent the last week in the Scillies with my new Romany I can say without a shadow of a doubt that I love it! I couldn’t be happier with the service Steve gave and the beautiful boat I have bought. 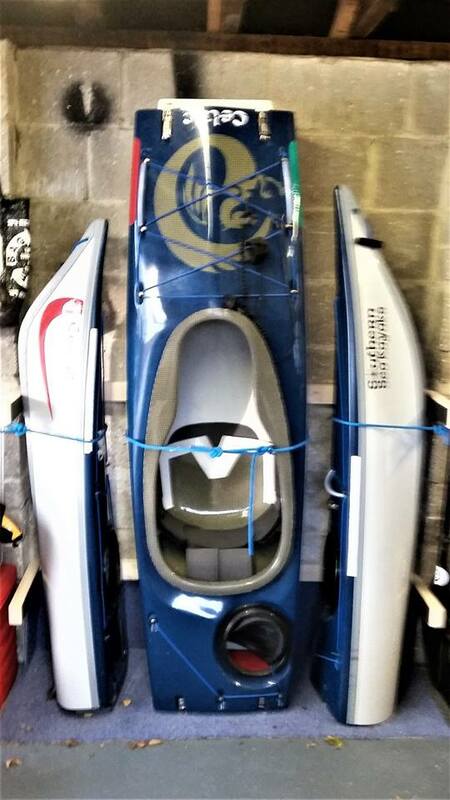 Kayaks suitable for my size, amazing choice of colours, plenty of options and great build quality. Steve was able to let me demo the boat I was interested in and had lots of hints and tips on how to get the best out of it. 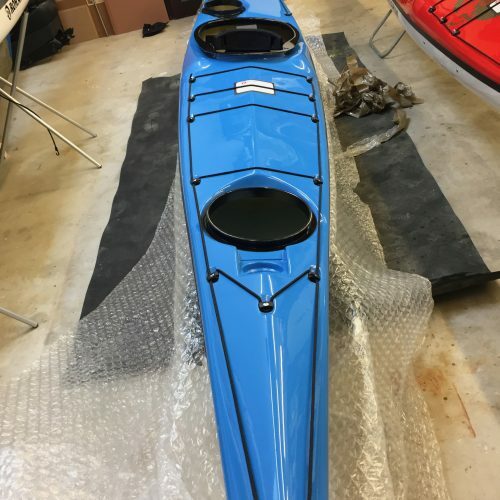 My dream kayak built to order. Very happy! 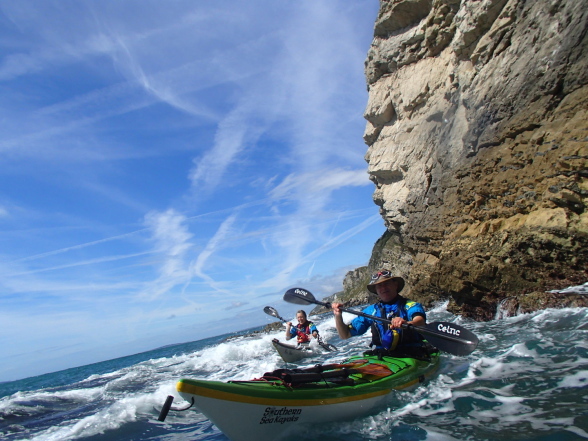 Great coaching from an excellent paddler – was able to give really focused advice in a great setting. Have today received my expedition trolley along with hand written covering note from Ronnie at KCS. 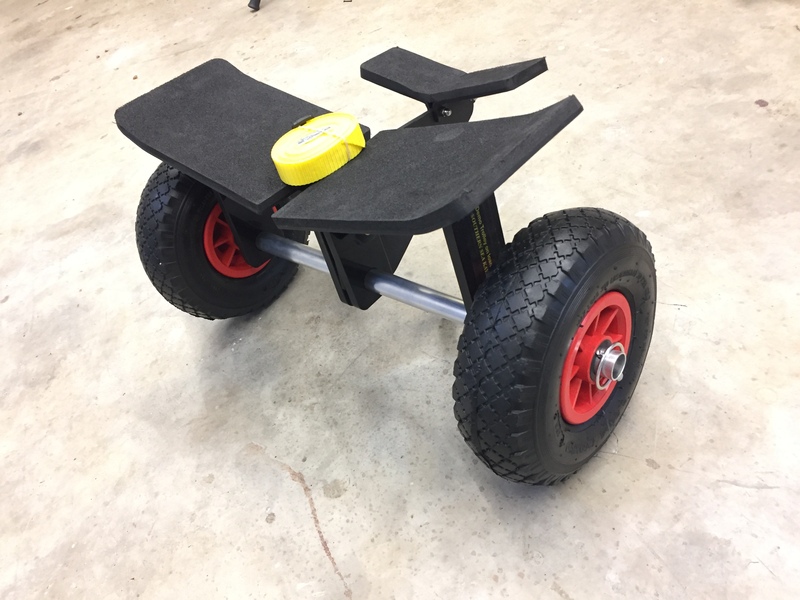 Very pleased with the trolley and no problems getting wheels into rear hatch of boat. Many thanks for such a rapid and friendly service. I hope to be able to do business with you again soon and will certainly recommend you to others. 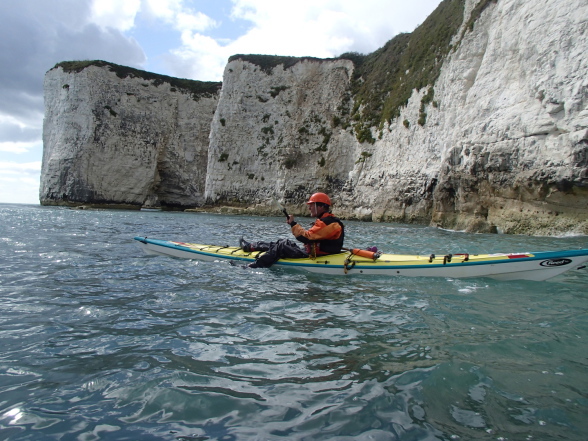 When I first emailed Steve to arrange a test paddle he replied quickly and was friendly, professional and enthusiastic. 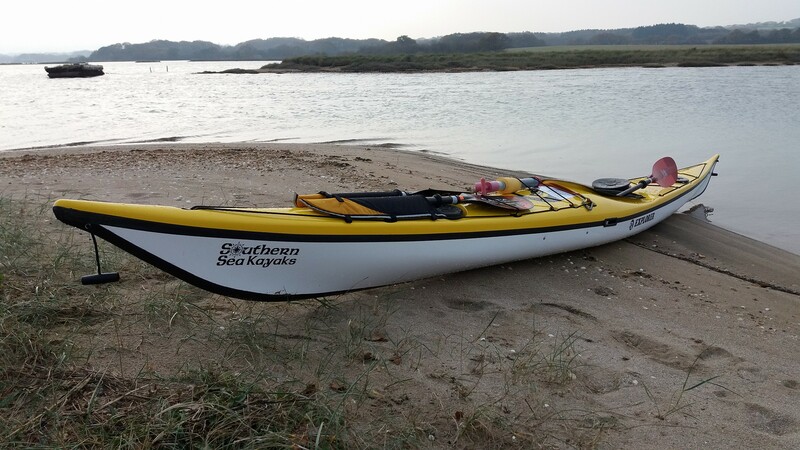 We discussed which kayak would best suit my needs and before long I was paddling one of Steve’s Romany classics out to Brownsea island. Steve was very flexible about the time and date for my demo-day and was happy to let my wife come along for a paddle too. 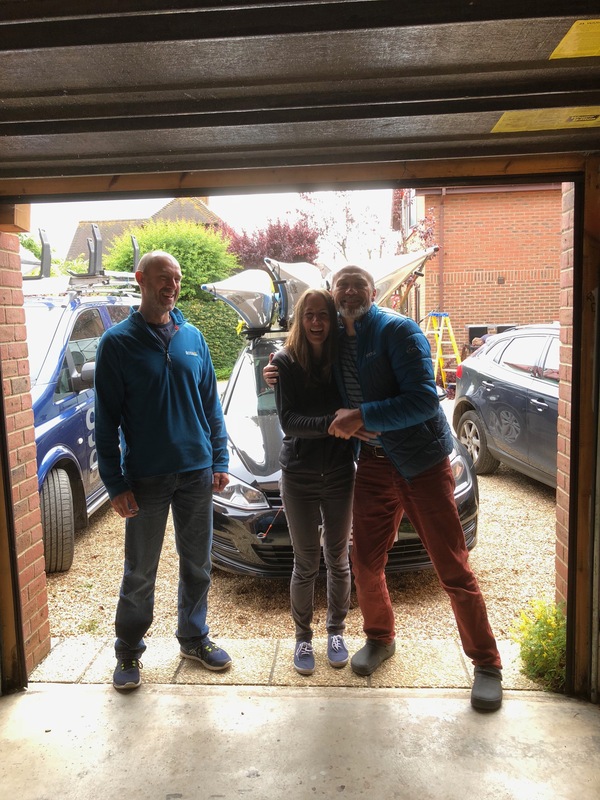 My many questions about outfitting, handling and colours were answered with patience and enthusiasm and Steve even took the time to give us a rescue and rolling session after we’d polished off his tea and biscuits! 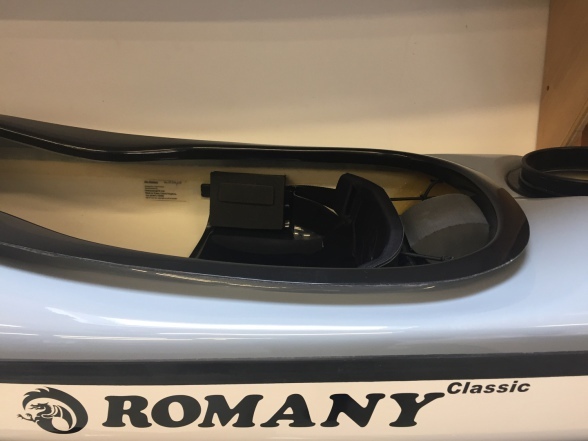 I’m now the proud owner of my own Romany Classic with custom fitted bucket seat which, thanks to Steve’s extensive knowledge and skill, fits me like a glove. 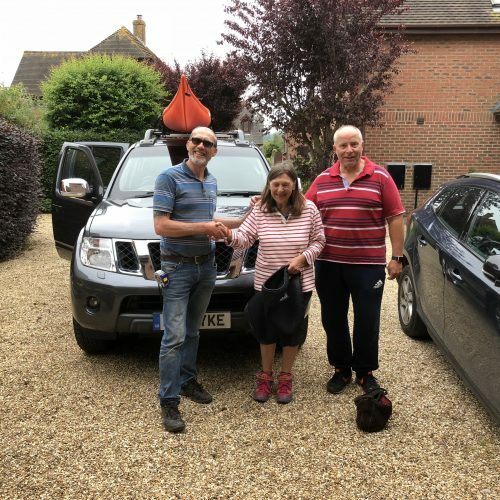 My wife and I are delighted to have met Steve and would not hesitate to recommend his services, whether you’re interested in a new boat or some first class coaching. 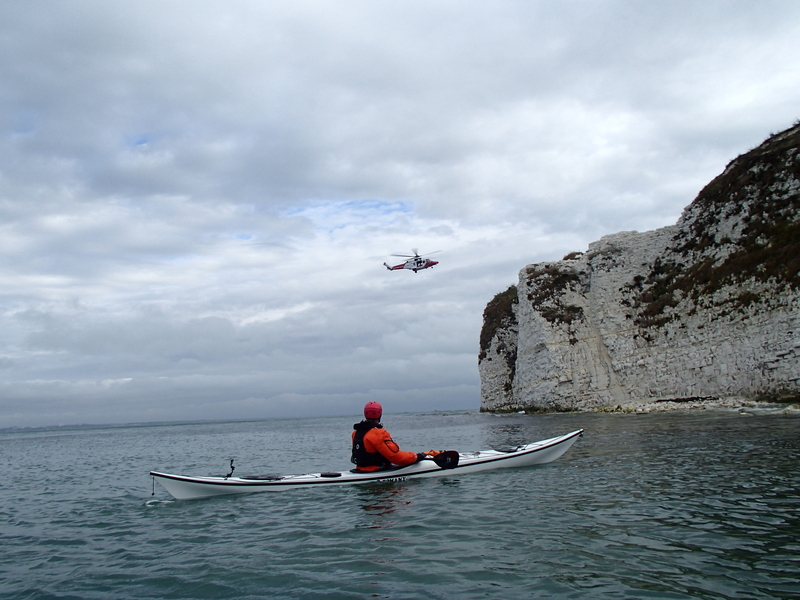 We will be back down to paddle the Jurassic coast with him in the near future. 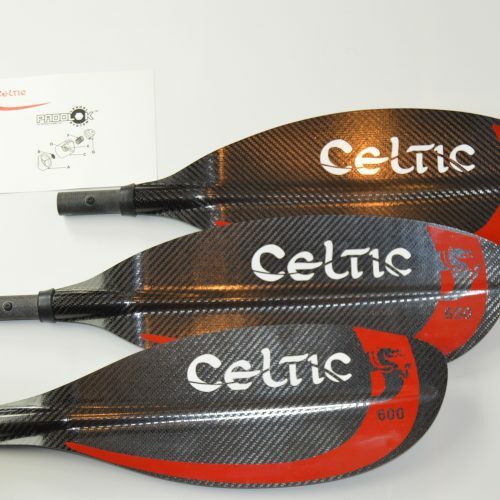 I got a Celtic cranked paddle with carbon blades from Steve to trial and loved it so much I bought it. 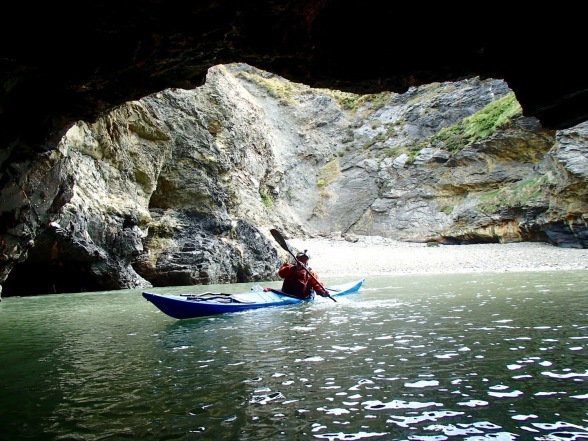 I had been suffering from tenosynovitis and Steve knew straight away which paddle I should try. He is so helpful and knowledgeable about anything kayaking related. I would like to thank you for a pleasant experience. Seems less of a financial exchange and more like making a new friend. Thank you for all your help and advice. I was delighted to get home in the wind and rain and be able to take my new Romany classic off the roof and on to my shoulder in one movement. And then balance the boat in mid air, on my arm [and my arms are not that strong] to tip the water out. That balance in the design is exactly what I hoped it would allow me to do. 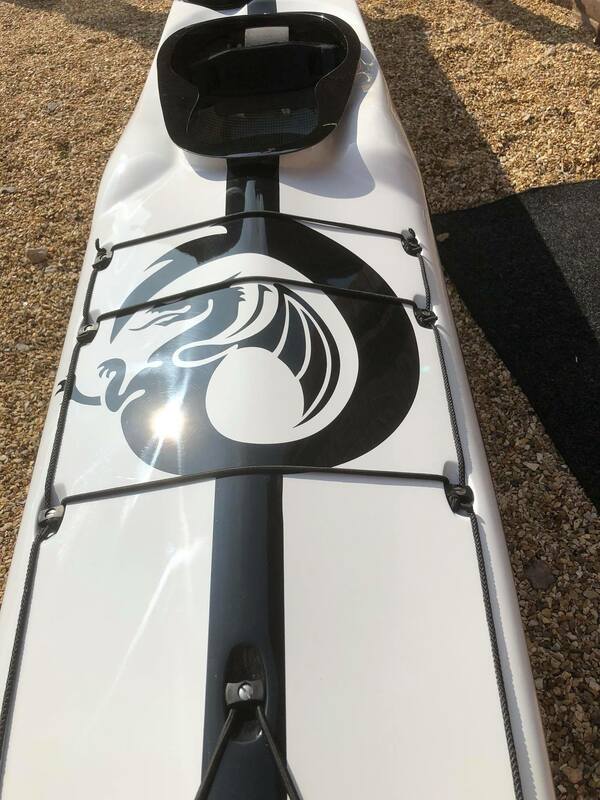 I’ve just bought a stunning new NDK Echo from Steve, which is now our second boat from Southern Sea Kayaks (Dave my husband bought a Romany). 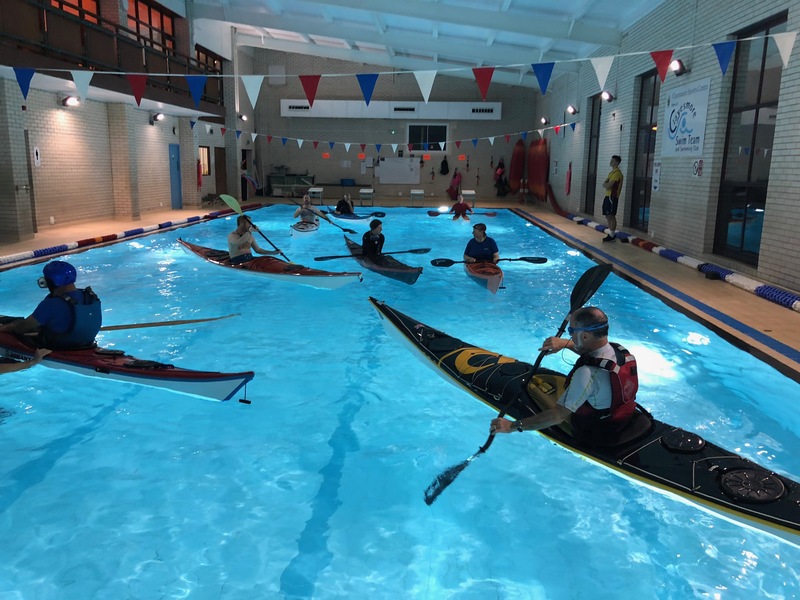 I spent some time paddling to test it out and Dave and I had some fantastic coaching to improve our skills and build confidence in the water. Steve’s knowledge, experience, helpfulness and generosity is second to none and he is just the nicest guy. I can’t recommend him enough and I absolutely love my new Echo. Thanks Steve! 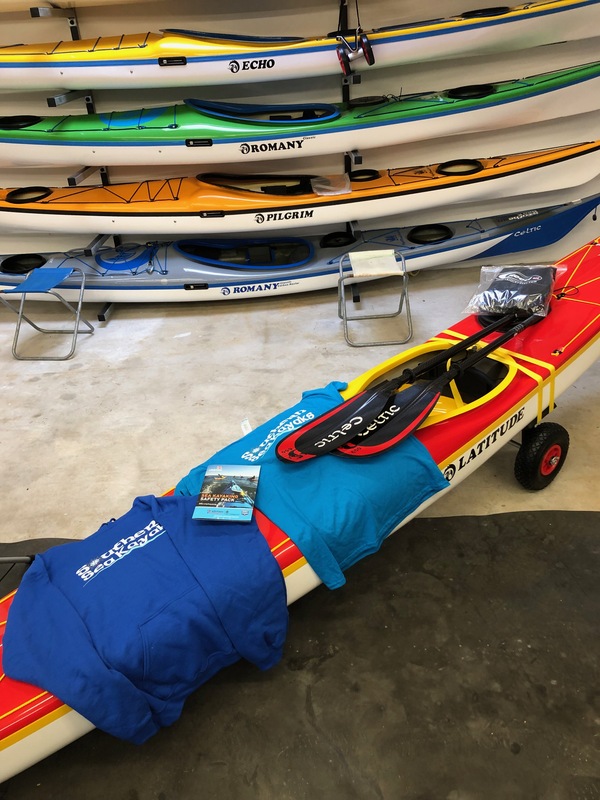 Steve is a really helpful and friendly guy, and nothing was to much trouble for him, I totally recommend him and southern sea kayaks. I recently sent my SKUK Pilgrim in for a repair. It was quite a complicated one and Steve did a wonderful job on it. 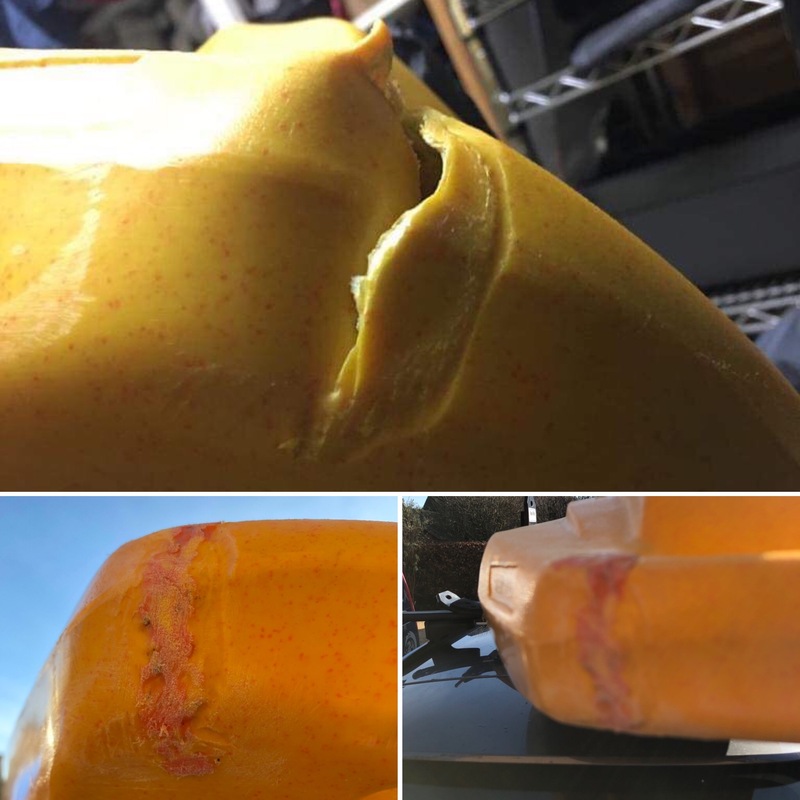 I won’t get into the habit of damaging my boat but if I needed any repairs I would choose Steve every time to do it. It was quick and expertly done. Thank you! 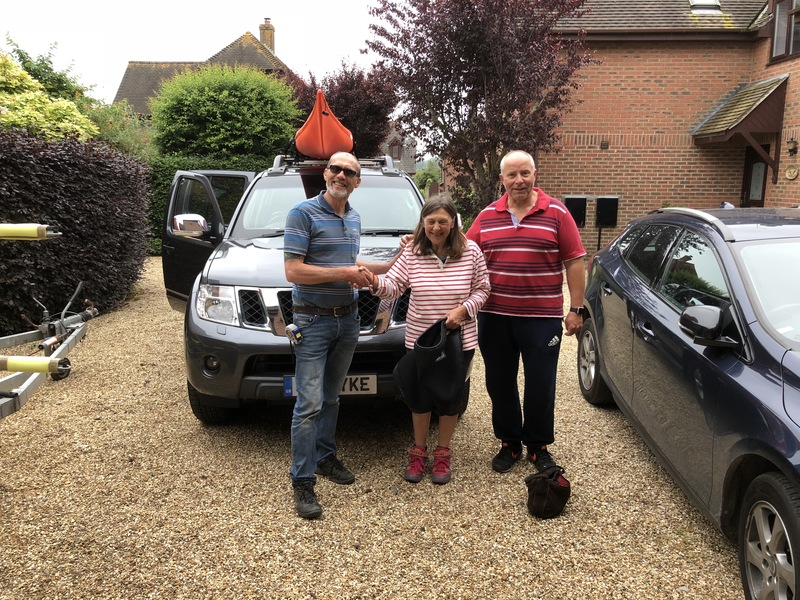 Massive thanks to Steve for sorting me my NDK Explorer I absolutely love it!, such a friendly knowledgeable chap that really gets you sorted for what you need and will get the boat perfect for you. Highly recommended if your after a new boat, parts/accessories or repairs give Steve a shout!. Legend! 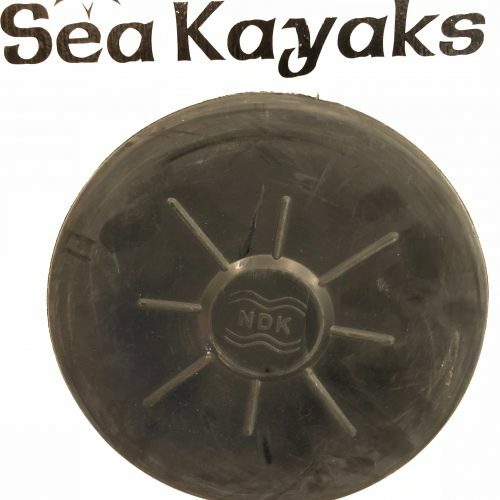 Southern dealer for SEAKAYAKINGUK / Nigel Dennis Kayaks. 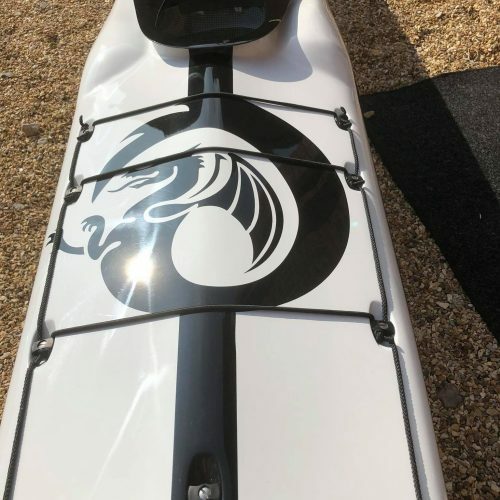 Steve Jones always has a good range of demo boats and Celtic paddles but most importantly, he had all the knowledge and experience to make sure you get the right boat and that it’s fitted just for you. He was a pleasure to deal with and I can’t recommend him highly enough. Steve Jones is an amazing guy. Incredibly patient and enthusiastic about kayaking . 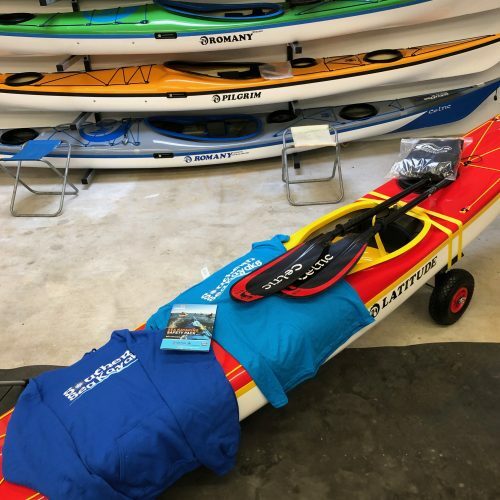 No hard sell, just a passion for matching you with your perfect forever kayak. Great friendly personal service. Very knowledgeable advise to help you select the best boat for you needs. I bought a NDK Latitude through Steve. Based in Dorset I’m lucky to have such a knowledgeable, experienced & helpful dealer nearby. 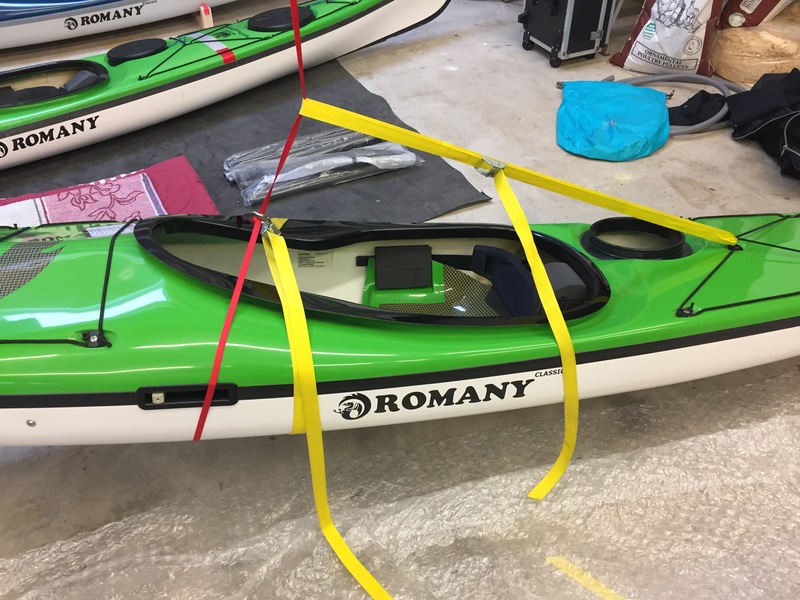 Having only been kayaking for less than a year I didn’t want to make an expensive mistake in purchasing a kayak. Sitting in the various models he stocks, it was apparent that the Latitude fitted me well except for my big feet. Also while on the demo paddle the seat didn’t quite feel right. 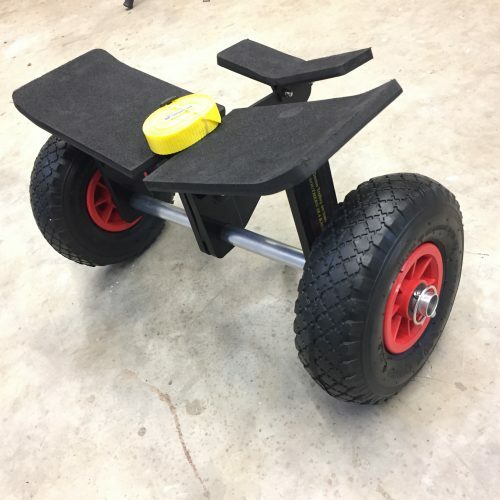 Steve suggested not fitting the foot plates but instead having a foam footplate to give a little more width for feet and he suggested I tried the optional bucket seat. Both are great fixes and with the personal fitting out he provides I’ve got a very comfortable boat. 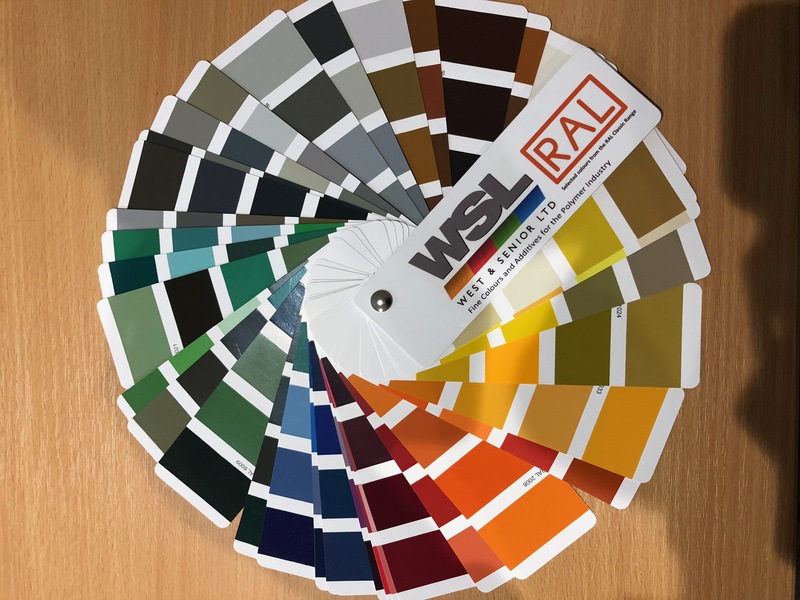 When I finally chose the colours (Steve has small colour discs to help), the purchase went smoothly. 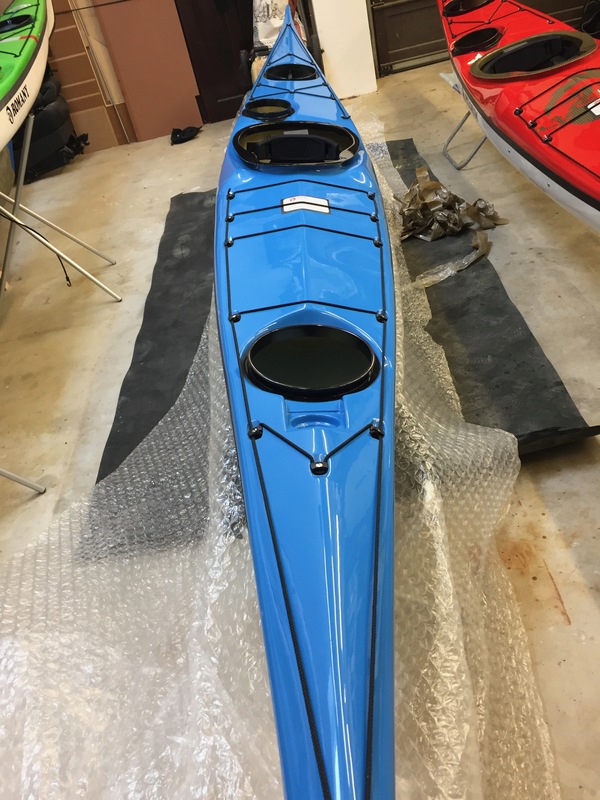 The quality of the kayak and layup is excellent. I had a slight issue with a wonky name sticker on the side, t’was replaced free of charge. I’d highly recommend both NDK and Steve as a dealer. 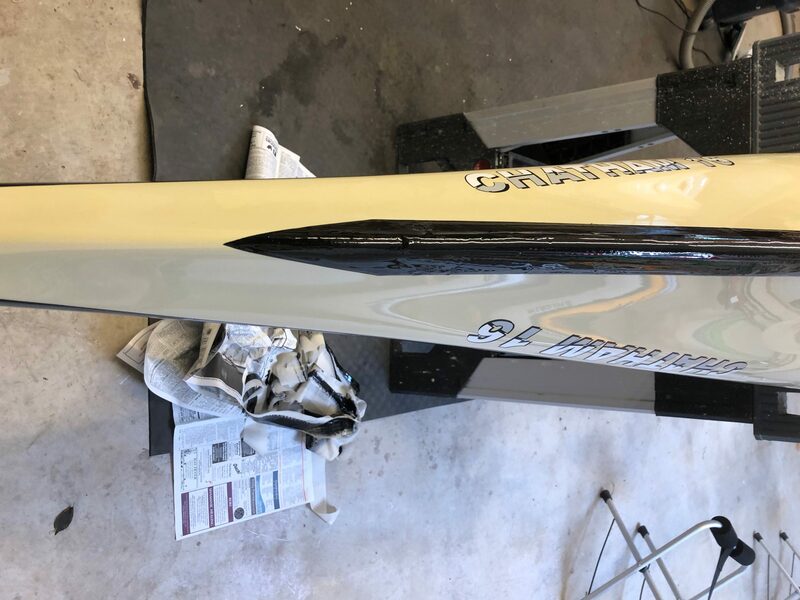 I Just picked up my kayak from Steve after a great job he’s made of touching up the gel coat and fitting a keel Strip. A really helpful service, and a great guy to deal with. 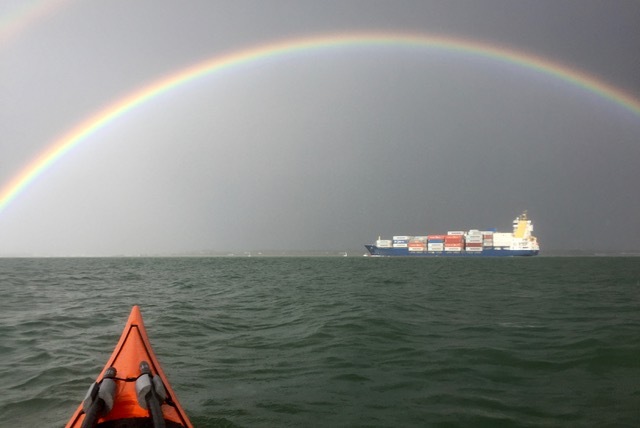 What a lovely way to buy a Sea Kayak. 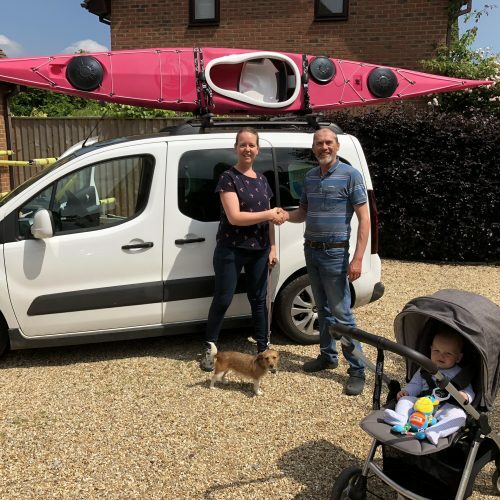 Steve is a super relaxed yet knowledgable chap and happily entertained our 7 month old Bertie whilst mummy checked out her Bright pink Romany Sportive Nigel Dennis Design. 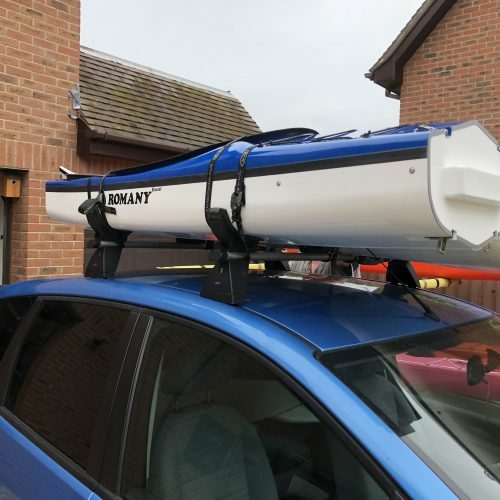 Swiftly fitted out, the boat is a dream to paddle. 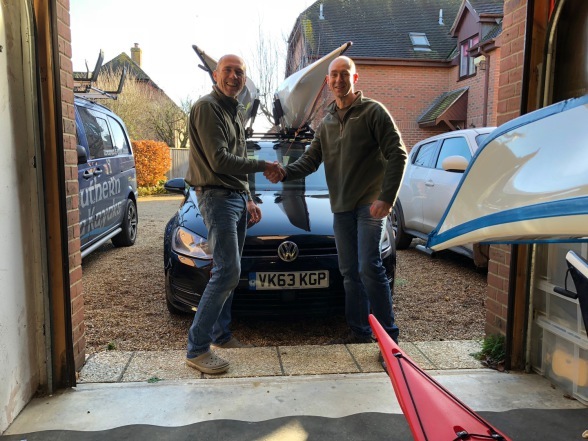 I can absolutely recommend Southern Sea Kayaks great products and you even get a handshake! Fantastic service from Steve. 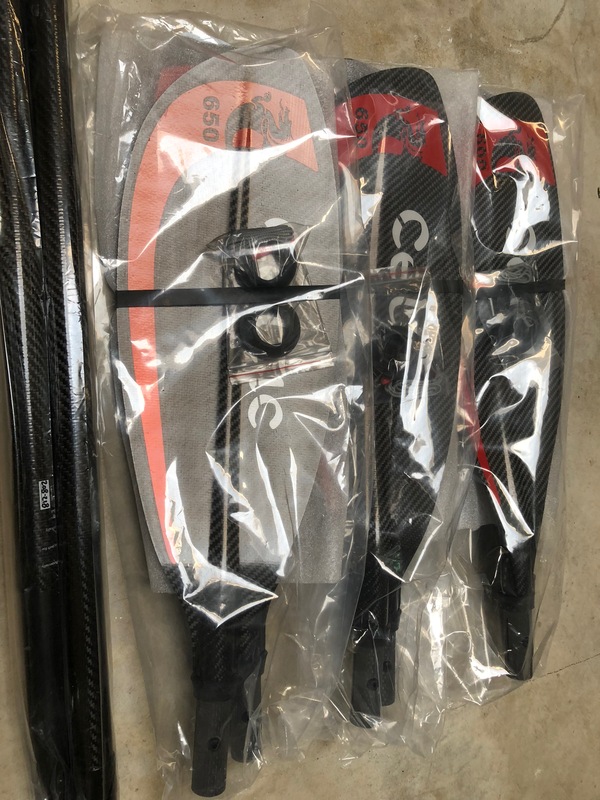 I was looking for a new euro paddle. I was able to try one out first – loved it and put an order in soon after. It arrived within a few days and was perfect. Steve spent as much time as I needed to sort out my requirements and I am more than happy to recommend him and his products. 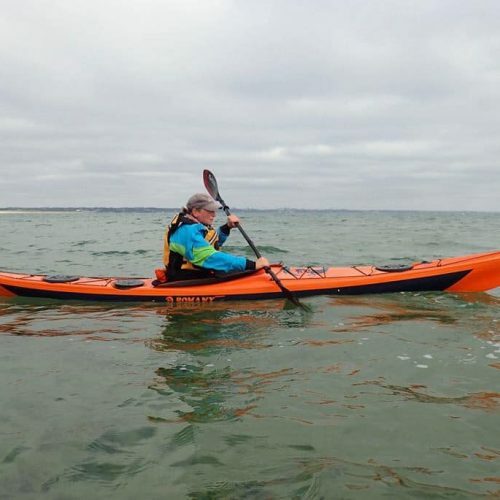 Having paddled with Steve and seen what an expert sea kayaker he is, I had no hesitation in trusting his judgement when the time came to replace my paddle. 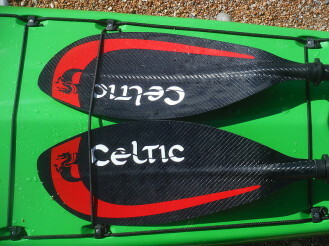 The Celtic paddle he recommended was a perfect match for me, it was delivered quickly and there were no glitches. One v happy customer. 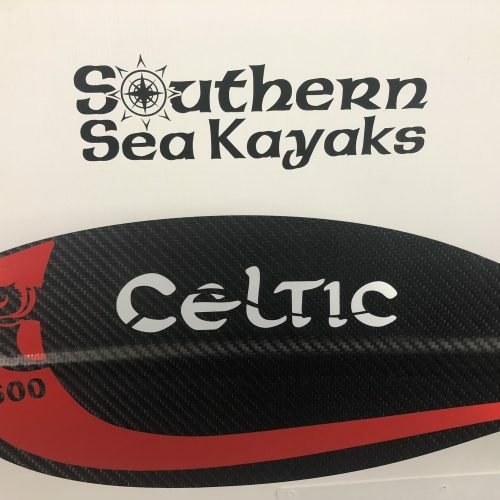 I Wanted to let you know how pleased I am with your recommendations reference my new Celtic paddle. The length is spot on and am glad I went for the carbon blades. 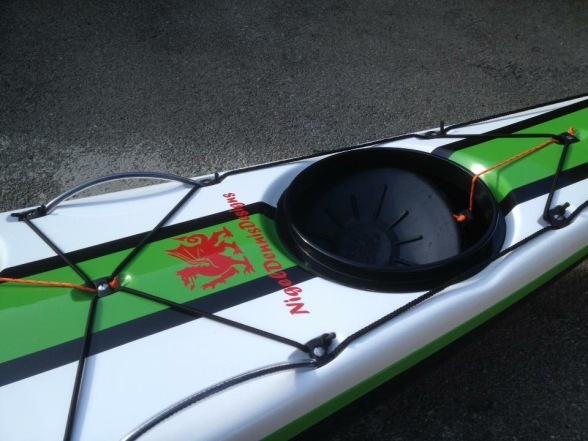 Also having the option to temporarily shorten the paddle length is a definite bonus. 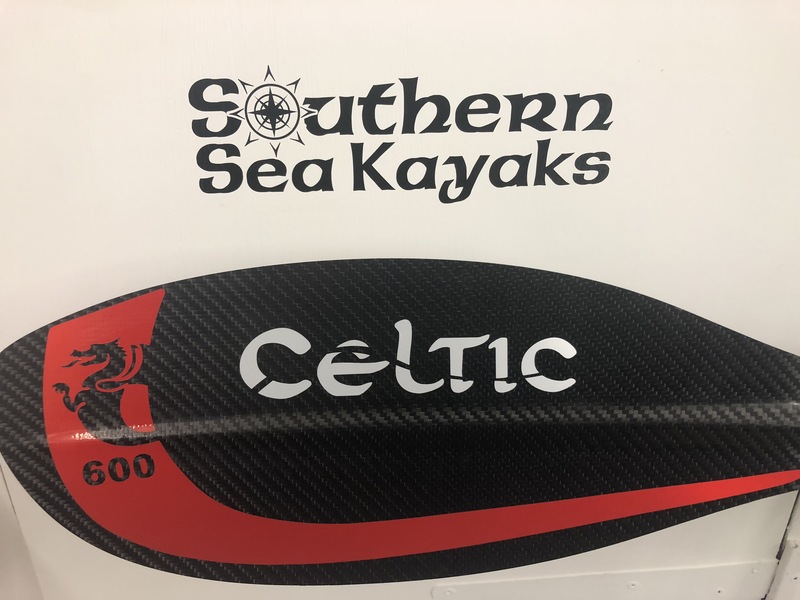 Droping down to the smaller blade size has been a positive move for me and my new 208-218 Celtic pro 650 is definitely my go to paddle now.